The SV9000 Contact Center solutions provide you with all the tools necessary to make each interaction between your customers and your business quick and easy. Between improved response times, reduced abandon rates, lowered operating costs, and increased revenues, you will see a rapid return on your investment. An ideal solution for the basic contact center that wants reliable customer service with few agents. Designed specifically for NEC's SV9100 and SV8100 communications server, UNIVERGE SV8100 ACD is a smart, cost-effective automated call distribution (ACD) solution that is easy to implement and maintain. This embedded ACD's unique integration results in a dynamic tool for smaller contact centers. The ideal solution for high-traffic contact centers that want to provide excellent customer service with up to 2,000 agents. 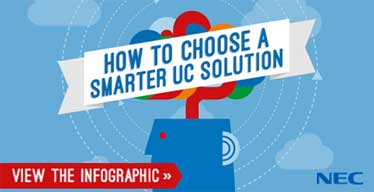 UC for Enterprise (UCE) Contact Center is a suite of products and services that help contact center personnel more efficiently manage all forms of contact from phone calls, voice mails and e-mails to text messages, web chats and faxes.